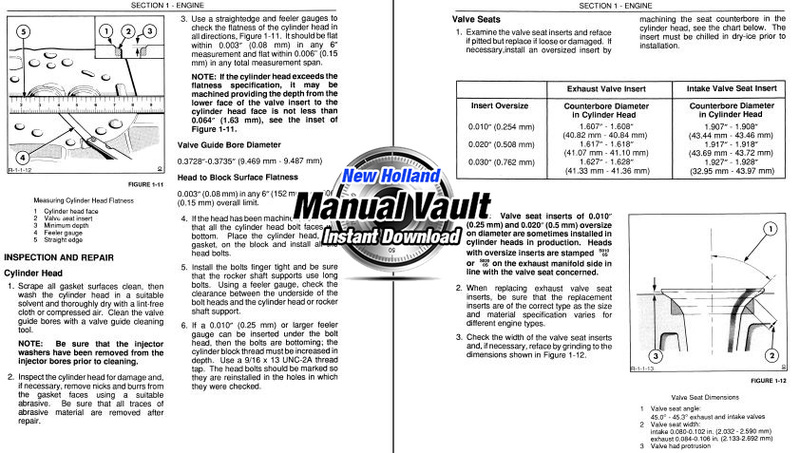 Notes: Professionally reproduced OEM repair manual with clear, printable pages – this is not a poorly scanned copy. 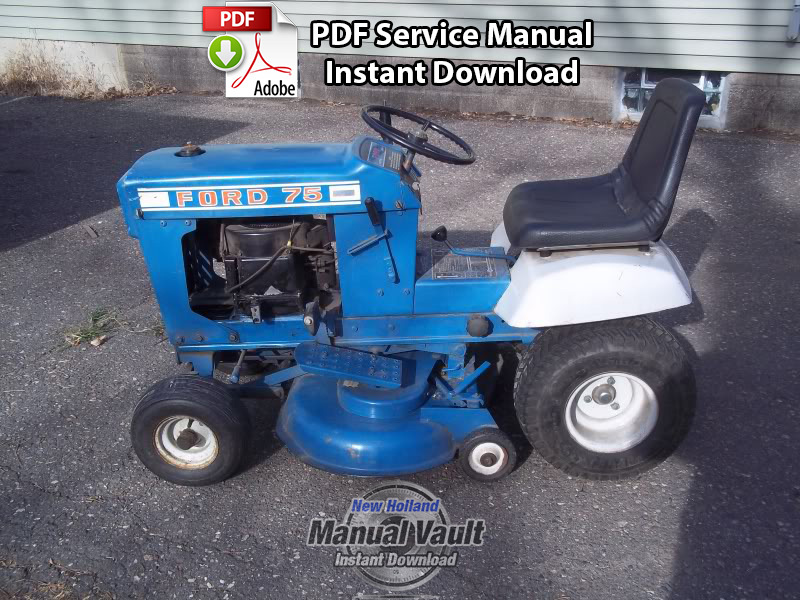 The Ford 70 and 75 Lawn Tractors have single cylinder, four cycle, gasoline engines rated at 7.0 horsepower. 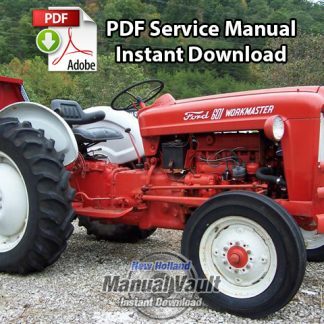 The difference between the two tractors is primarily in the components used for starting the engine. 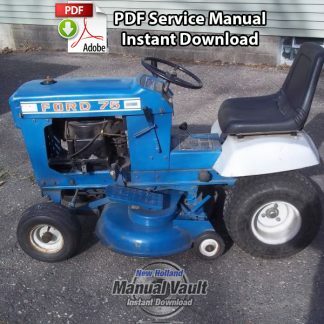 The Ford 70 uses a manual, or pull-type, starting mechanism. 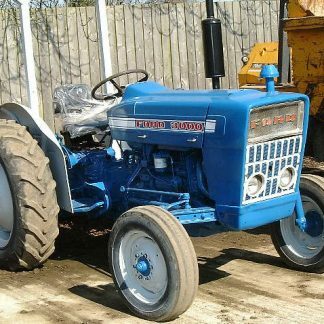 The Ford 75 has an electric starter, and therefore has a battery and an alternator for charging the battery. The 70 and the 75 both use a magneto for the ignition system. The transmission and rear axle·are combined in an assembly called a transaxle. 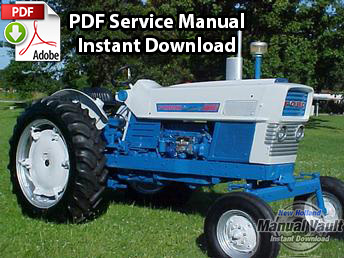 This mechanism provides for three forward, and one reverse, gear ratios. The clutch is the belt-idler type. The foot pedal serves for both clutch and brake action. Depressing the pedal removes the tension from the drive belt. When the pedal is fully depressed the brake is applied. The steering wheel shaft has a pinion gear at the lower end. This pinion engages a gear sector on the steering arm and shaft assembly. A drag link connects the arm of the arm and shaft assembly to the steering and tie rod arm and hub assembly, which is keyed to the front wheel spindle assembly. In addition to the transmission gear shift lever, there is an implement lift lever on the right side and a power drive clutch control lever on the left side. This clutch controls the flow of power to such implements as the rotary mower and the snow blower.